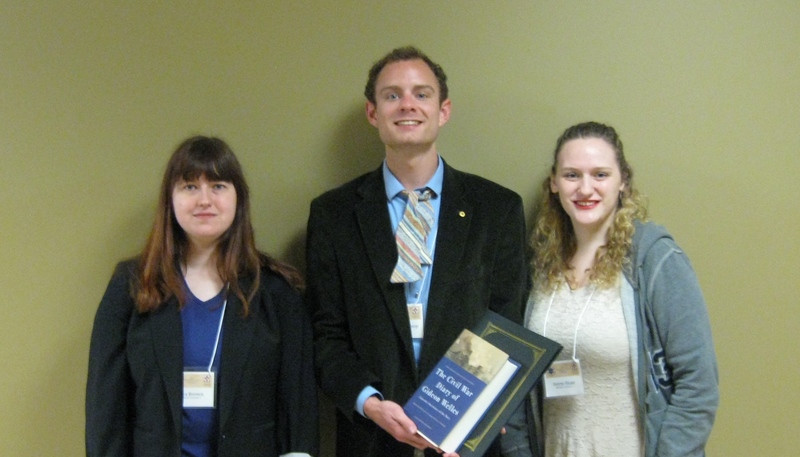 Members of Belmont’s Xi-Alpha Chapter of Phi Alpha Theta (History Honor Society) presented papers at the society’s 2016 Tennessee Regional Conference held at Union University in Jackson, Tennessee on April 2. Participating students, including Jordan Heykoop, Rita Brown and Storm Sloan, presented their original historical research on topics in American and European History. At the conference luncheon, Heykoop was presented with first prize in the competition for best paper in U.S. History. His topic was “Freedom’s Cause: Early Jazz and the White Critic (1917-1920).” The team was accompanied by the Xi-Alpha Chapter faculty advisor, Dr. Cynthia Bisson and Dr. Douglas Bisson.